Good news for Verizon subscribers: you will be able to share in the glory that is the HTC One. You’ll just have to wait a few months. AT&T, T-Mobile and Sprint jumped on the bandwagon immediately after HTC announced the One on February 19th. Verizon remained silent. A source responded to a tweet about a Verizon version of the HTC One. 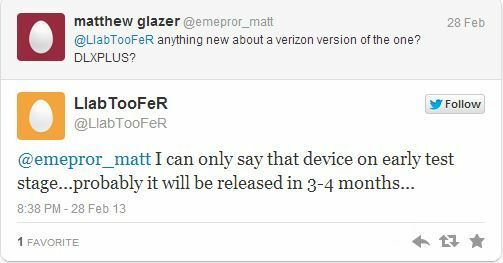 The source says the device is in early test stage, and will be released in “3-4 months.” Not the kind of news I, or any other Verizon customer wants to hear. This is the same Twitter account that leaked the specs of the One before it was announced. The One is a successor to the HTC One X and One X+. Early reviews are calling this the best offering for an Android phone this year. That’s quite a compliment for a phone that has not even been released yet. HTC needs a winner this year. They accounted for only 4.7% of worldwide smartphone sales in 2012. It will be going up against a giant in the latest Galaxy series, the Samsung Galaxy S 4. With this most likely being the only phone HTC will be announcing this year, they are relying on the One to bring them back into the mainstream again. It will no doubt be a battle, and news of the largest US carrier delaying the release does not help. They will also receive some competition form the new BlackBerry Z10 set to be released in the US soon. 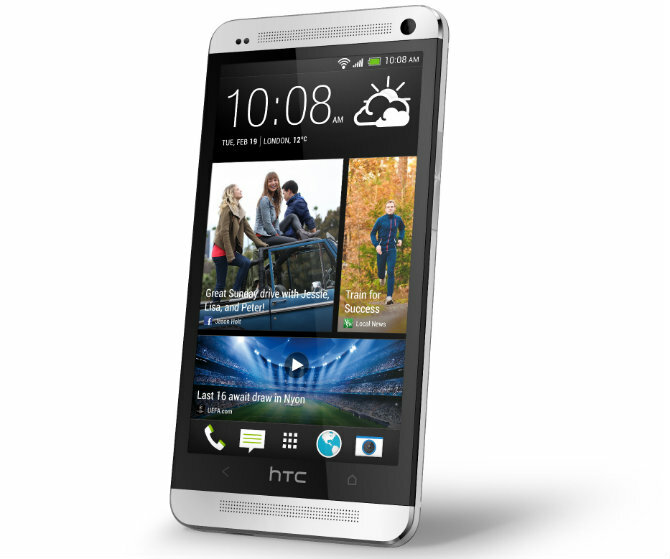 I hope the HTC One succeeds; more choices in smartphones is a win for consumers. Question for Verizon Wireless customers: will you jump ship to another carrier to get the HTC One?